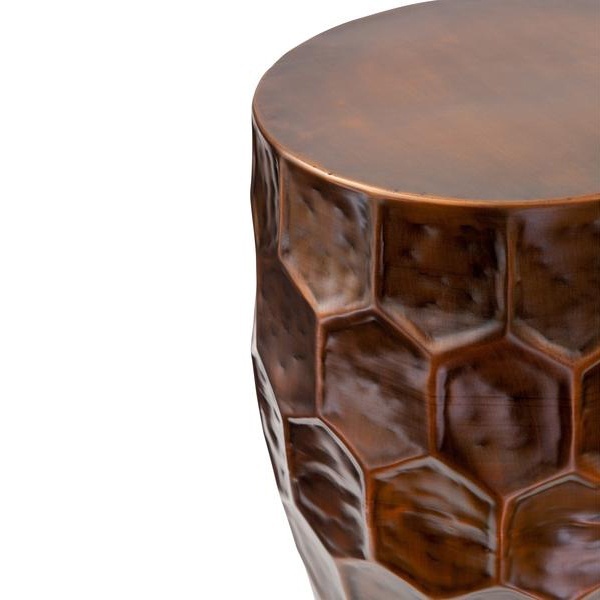 Tags: Brown, side table, Honeycomb Side Table. The Honeycomb Side Table, an iron construction adds a formidable look and feel to this tasteful accent table. 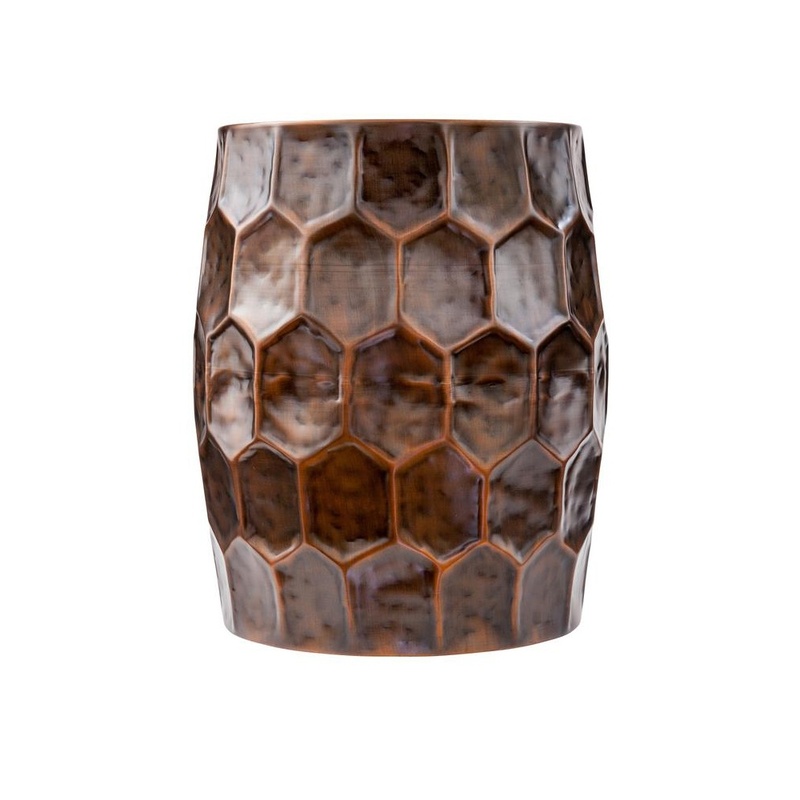 With a lovely classic antique finish, it mirrors surrounding decor in a rustic setting. 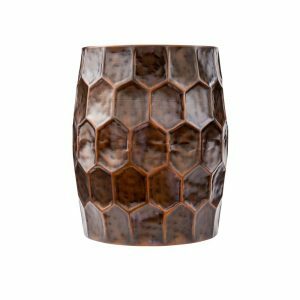 An ornamental honeycomb pattern round its base edges delivers an intriguing and decorative look.